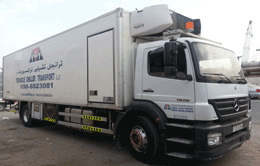 Dubai’s Leading Refrigerated Trucks, Chiller & Cold Trucks & Vans Rental Provider. Over 35 Years of experience. Trusted Refrigerated Truck Service Providers in Dubai & UAE. We Provide Quality Transportation, All Kinds Of Freezer Trucks, Freezer Vans, Chiller Trucks, Chiller Vans, Refrigerated Trucks and Refrigerated Van. 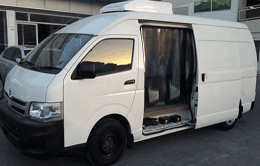 WE PRIDE OURSELVES ON DELIVERING A FIRST CLASS TRANSPORTATION SERVICE ALL OVER UAE & OTHER GCC COUNTRIES. Refrigerated Trucks and Refrigerated Vans. 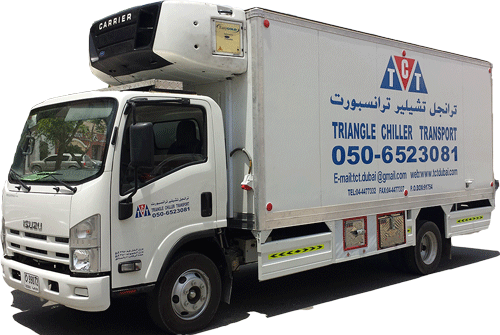 Triangle Chiller Transport Dubai objective is to exceed the expectations of our customers through total quality management. 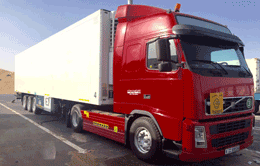 If you are looking for a good chiller truck rental company in dubai, look no further. 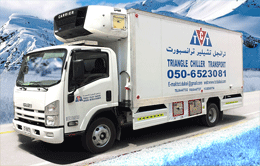 Triangle Chiller Transport dubai promises to be your cold chain logistics partner. Weather it’s fresh fruits, fresh meat, fish & seafood, dairy products or beverages, our state-of-the-art chiller trucks and vans are available 24/7 to meet your needs. TCT has proven to be a very dependable company. highlighted by their sense of urgency on every transport. 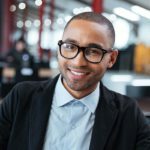 Their dispatchers and customer service reps have proven to be very trustworthy and customer oriented.